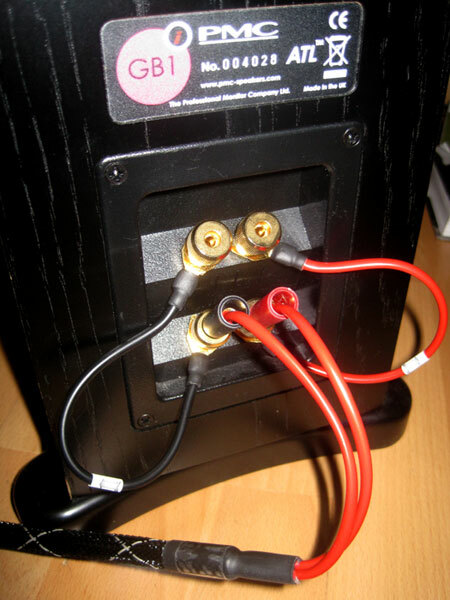 The Spatia speaker cable will bring exceptional imaging to a capable stereo amplifier and pair of speakers. They're also extremely low in capacitance (only 80pf/m) to preserve your amplifier's phase margin. And now Spatia Links are available to replace the plate or bar links on bi-wireable speaker terminals. Terminations offered include gold plated 4mm "bananas", 8mm forks, or prepared bare ends—and you can choose different terminations at the amplifier and speaker ends. Let us configure your speaker cables to your exact requirements. Tell us what you want on this order form and we'll give you a quote. It's a complex relationship between amplifier, cabling and speakers where they can all work with each other, or all work against each other. When they work with each other the conditions are just right for the clearest and most detailed music reproduction. The construction of the Spatia speaker cables closely approximates the best virtues in interference suppresion letting the your amplifier work unimpeded in a number of ways. Firstly its capacitance is so low that amplifier stability isn't adversley affected: at only 80pf per metre any regular length of Spatia speaker cable will contribute little indeed toward instability - even when using amplifiers without output inductors. In other words, the Spatia speaker cable is a "safe" speaker cable to use. So when the amplifier is called upon to deliver some serious power to the speaker load, the Spatia speaker cable won't be getting in the way. Its close proximity slow twist contruction minimises its electrical and magnetic fields so its antenna action is minimal: it won't be attracting high frequency interference onto itself, because when interference gets into your amplifier output the interference can be regenerated, and that mixes with its harmonic distortion to introduce new alien sounds which color your music. The Spatia speaker cables therefore offer a more natural and unforced sound. Returning to the effect of capacitance, the insulation or dielectric properties of capacitors are known to have an effect on sound quality. It's the same with cable capacitance, and the Spatia speaker cable dielectric is very similar in performance to that of the best sounding capacitors. The best performing pulse capacitors are the highest voltage because they maintain a more constant capacitance - it doesn't fluctuate with frequency - and the Spatia speaker cable's 1kV rating ensures capacitance stability. And finally its multi-stranded conductors are high purity 99.9% copper with over 101% conductivity. Whereas oxygen free copper is much higher conductivity similar to silver wire, and both have a hard sounding characteristic, the Spatia speaker cable has a more natural sound signature. 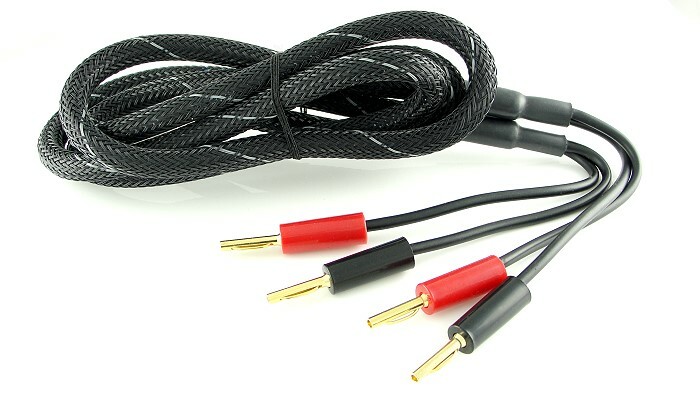 The stranding of the Spatia Links gives a more detailed feel to the sound than using the solid flat or round speaker terminal jumpers supplied with bi-wireable speakers (according to consumer research), and we strongly recommend their use along with the Spatia speaker cables you buy. At first I thought that they weren’t retrieving any additional information until I realised that the sense of space around instruments, which was well described by the Merlins, now appeared so much more natural and believable. There was also a focus there that, although good before, was now so much better at allowing that 3D quality to become manifest... Here again was that feeling of ‘being there’ and that sense of ‘living presence’... In fact the full range of the sound spectrum, as recorded, was allowed to come through most naturally - from the lowest thwacks of a bass drum and deep growling notes of a double bass to the tinkling sounds of a celeste and the decaying sounds of a soft brush drawn over a cymbal. On voice there was an uncanny presence, the expressive nuances of a song presented in such a life-like way. It seemed also that the sound of all the recordings that I played became much freer and more expansive as though the dynamic range had somehow been extended. I've posted elsewhere about tremendous sound the Proprii give out - full bodied, dynamic and detailed. Now with the addition of the Spatia it's as though the handbrake has been taken off and the full performance of these amps realised. Without going into reviewer-speak (too much): the sound stage now spreads farther out from the speakers, the tonal colours of instruments seem more "saturated" (pre-digital photography fans think Kodachrome over Ektachrome), the bass response of my PMCs has finally been revealed, and the toe-tapping quotient raised yet another notch or two. With well recorded tracks vocals have an immediacy and presence, and solo instruments a holographic image that floats free of the speakers. Fantastic stuff . . .